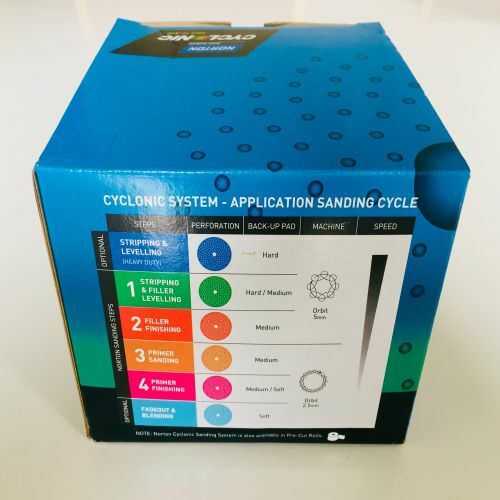 The Norton Cyclonic range will provide you with a complete sanding solution that will help to minimise your sanding time and increase productivity with 4 easy sanding steps. 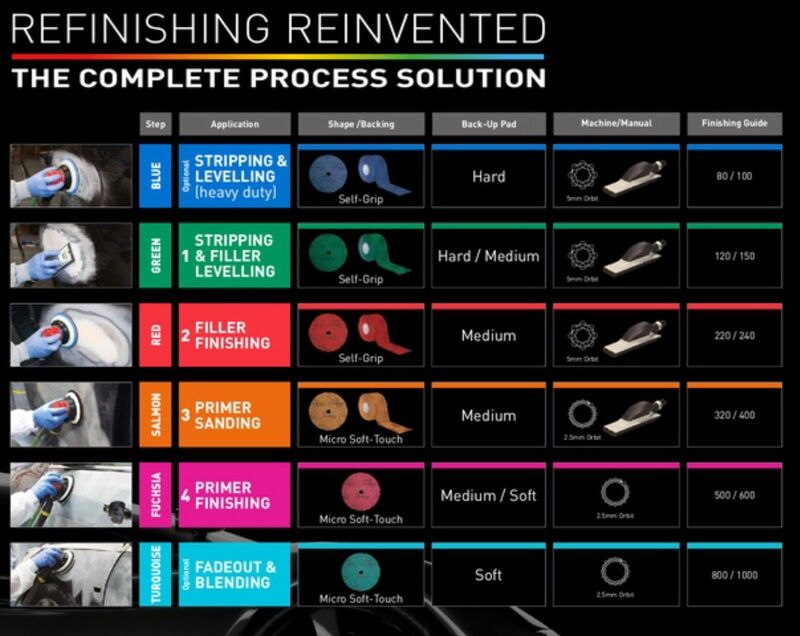 The improved dust extraction technology extracts 25% more dust, and with the unique hole pattern increases productivity by up to 32% compared to conventional multi-hole sanding discs. 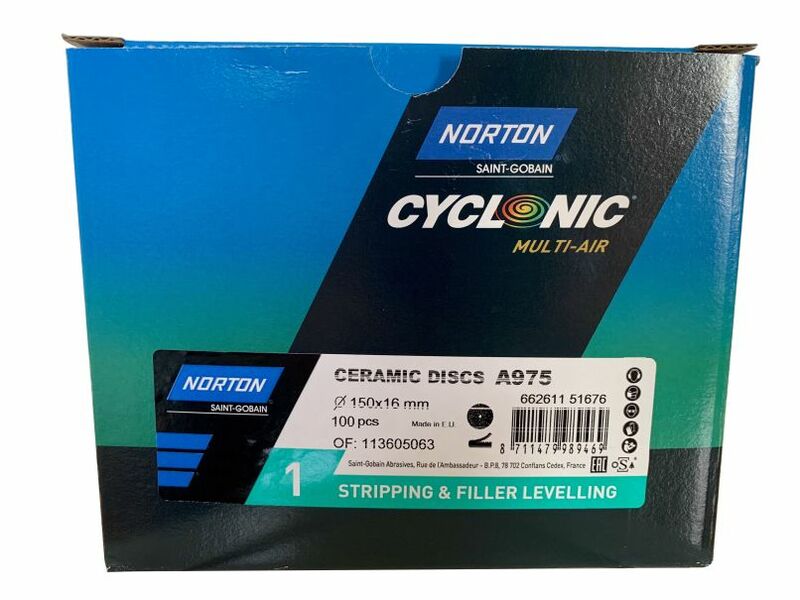 Due to the Norton ceramic grain, which are sharper, cut cooler and wear more evenly, provides consistent sanding results. 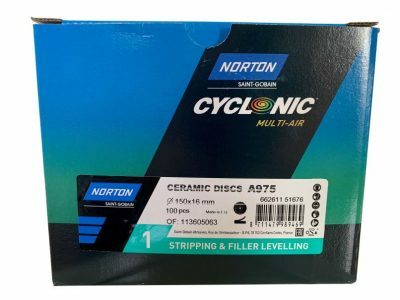 The Multi-Air Cyclonic contains Norton ceramic grains which have a superior cut and longer life than conventional grains. Ceramic grains are sharper and cut cooler. As they wear more evenly the product will produce consistent sanding results and a more uniform scratch pattern on paint, primer, clear coat, alumium and composites. The holes are cut into the disc with the new laser cutting technology and not punched, allowing the discs to be flatter. 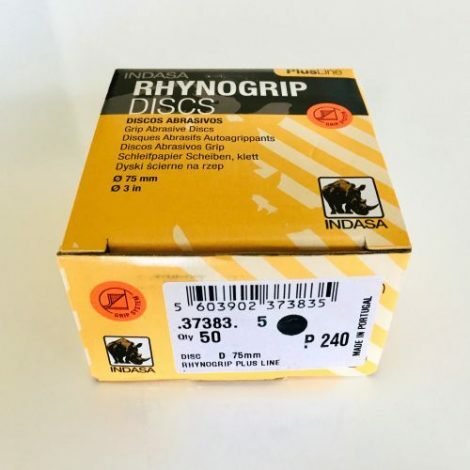 This improves the dust extraction and the abrasive surface area is increased for a more consistent scratch pattern and improved surface finish throughout the life of the disc. 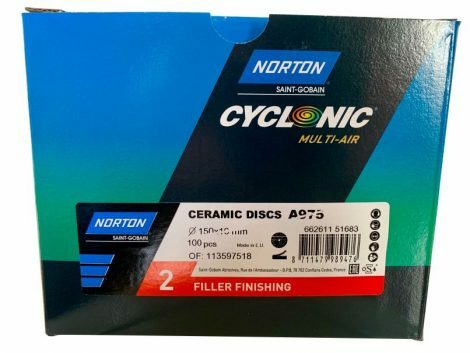 Due to the unique hole pattern, Norton Cyclonic improves productivity by up to 32% compared to standard multi – hole sanding discs. 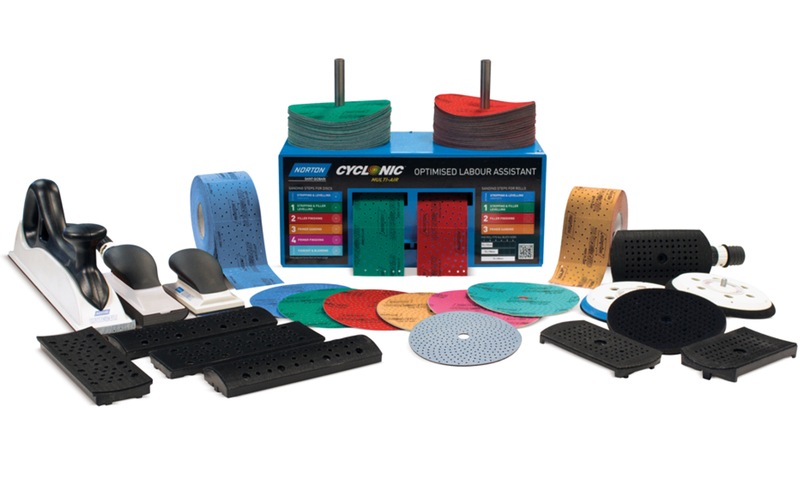 Multi-Air Cyclonic has a 25% increase in dust extraction. The new hole configuration is created with the same science as cyclone formation, to allow the most powerful air movement.